Recently, a week’s break away from the surgery saw a journey to Port Douglas in tropical north Queensland. This was to escape the winter blues of Sydney; at least for a while. The day we arrived the Port’s minimum temperature was Sydney’s maximum. They don’t have a cinema here but there is seasonal outdoor cinema at a park near our accommodation. So on our first night, we saw the Minions movie, on hired bean bags, lying on grass, on a balmy tropical night of 26°c. We were not the only guests. We were mozzie fodder. Thank goodness for the Aeroguard! 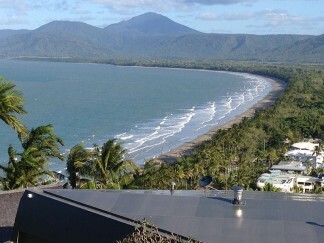 The next day there were the Port Douglas markets, at Anzac Park, overlooking the Coral Sea. It was here we found an interesting stall. Here is the dental aspect of this blog post. It was selling cupcakes. The only cupcakes that as a dentist I would recommend to everyone… they are soap! 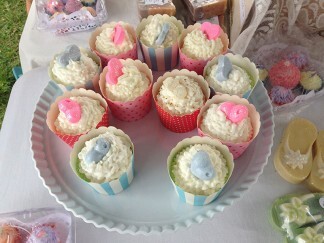 Very fragrant and beautifully presented soap in cupcake holders. Enjoy. The last time we were in Port Douglas was over a decade ago so a lot of changes, but the community has resisted fast food chains, so there was a great variety of local restaurants and eateries to try. The local beach even had deck chairs with umbrellas to place on the sand to enjoy the view. Even happy hour at our place of stay was two hours long! The local pub had signs up for that uniquely Queensland past time, the cane toad races. Sorry I did not partake. Off to the Great Barrier Reef on the “Big Cat” the fast twin hull catamaran out to the outer reef. Unfortunately, the weather was very stormy and seasick tablets were handed out. Not pleasant even with the meds. Once out on the reef the storm past and the platoon was stable. The barrier in Great Barrier Reef is that it is a barrier to the main ocean waves. We could see it in the distance a long white line of waves crashing onto an invisible wall. 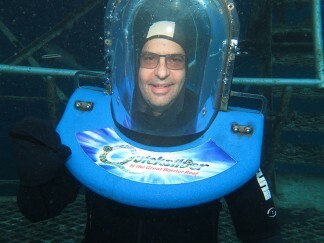 It was here that I tried Ocean Walking for the first time. This meant putting a modern diving helmet (like a huge domed fish bowl) on with an air hose attached to it. The collar of the helmet was weighted so the pressurised air wouldn’t push the helmet off. So after walking down some stairs, constantly equalising the ears due to the increased air pressure, we arrived at a “balcony” on the reef some 4 metres below. Here we fed and touched fish. The helmet makes everything look very large. 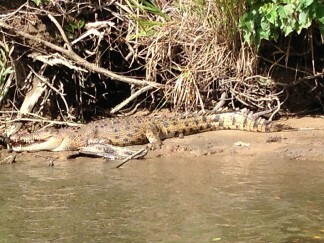 Finally we visited the Daintree Rainforest and ventured onto the river to see crocodiles. However, we saw a rare sight – a Cassowary with a chick, crossing the road. The importance of this bird is that the seeds that it feeds on, once eaten and end up in its droppings, allow the seeds to more easily germinate. In other words, no Cassowaries, no rainforest! Travelling does broaden the mind and makes you appreciate what we have. There is only Earth 1.0, no upgrades coming, only patches, maybe!